On Sunday evening the Board of Directors of the Prince George Public Library presented its annual Jeanne Clarke Memorial Service Award to the Barkerville Heritage Trust, in recognition of the Trust’s “outstanding contributions in the preservation and promotion of local history” through the “Who Am I?” Bridging the Pacific: From Guangdong to Barkerville and Back exhibit. Barkerville celebrated its sesquicentennial in 2012, and as part of the historic town’s 150th anniversary developed a unique multimedia exhibit in response to interest expressed by several institutions in China. “Who Am I?” depicts the lives of Chinese settlers in the Cariboo through the use of historic Barkerville letters and photographs, including portraits by important local Chinese photographer, C.D. Hoy. Comprised of some 60 panels and more than 1600 digital images, the exhibit allows viewers to scroll through photographs mounted on interactive, bilingual touchscreen kiosks in the hopes of identifying some of the mostly anonymous Chinese immigrants who contributed much to the gold rush in Barkerville in the 1860s. “Who Am I?” Bridging the Pacific: From Guangdong to Barkerville and Back was made possible thanks to funding and support from the Cariboo Chilcotin Beetle Action Coalition, the Omineca Beetle Action Coalition, the Province of BC’s Ministry of Community, Sport & Cultural Development and Ministry of Jobs, Tourism & Skills Training, the City of Prince George, and several dedicated private donors. The initiative has received a lot of attention on its current tour of China, including an official opening in Guangzhou by the Governor General of Canada, His Excellency the Right Honourable David Johnston. 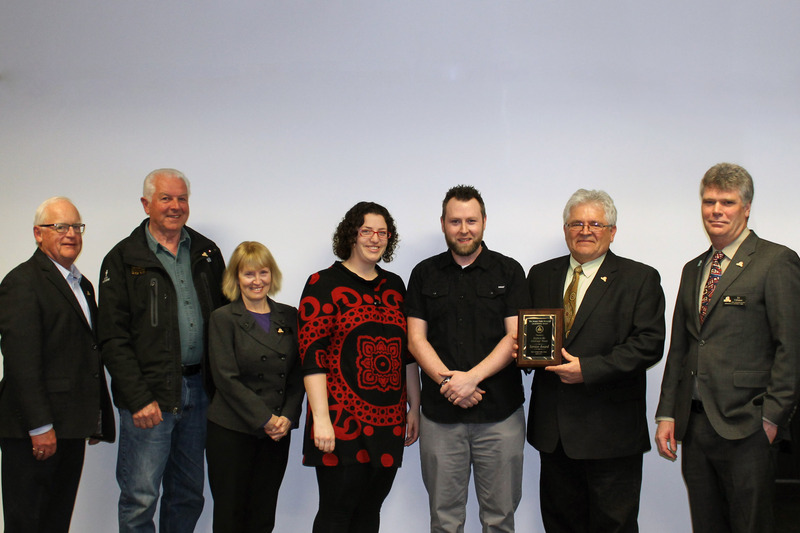 The Jeanne Clarke Memorial local history service award was established by the Prince George Public Library board in 1985, in memory of Jeanne Clarke, a former board chair who served on the library board from 1978 to 1984. Clarke was a founding member of the Prince George Public Library’s Local History Committee, and played a key role in establishing the Prince George Public Library’s local history collection. For more information about the Prince George Library’s Jeanne Clarke Memorial Service Award, please visit: www.lib.pg.bc.ca/jeanneclarkeaward. For more information about Barkerville’s traveling exhibit, “Who Am I?” Bridging the Pacific: From Guangdong to Barkerville and Back, please visit www.barkerville.ca/china.htm.